This STUNNING home lives brand new w/ $300,000+ of remodeling & a resort backyard. From the moment you walk into the gated courtyard & through the custom front doors the home showcases true pride of ownership. Enjoy cooking in your beautiful kitchen w/custom cabinets, quartzite counters, an oversized island & s/s appliances. MBR has wood floors & all bathrooms are remodeled. The backyard has a new pool/spa/water features/solar & covered/shaded loggia room with tv. Enjoy gorgeous views off the master deck!, The home has undergone an extensive remodel over the past 3 years. The kitchen has new cabinetry, island, counter-tops, backsplash, induction cooktop and top of the line Kitchen Aid appliances, sink and faucet. The bathrooms have new vanities, new shower tile, new glass doors, new faucets, mirrors and lights. Master bath has custom quartz and travertine. Two new quick recovery water heaters, water softener and reverse osmosis drinking cap. All new doors and knobs. Custom iron front door with hinged glass. Water proof deck and aluminum trellises. Both fireplaces have been resurfaced. California closets and California shutters. The pool/spa was built last year and has an oversized "beach" entry great for young children and solar heating. A cantina style door was installed leading into the backyard. There is a covered outdoor room with side shades. 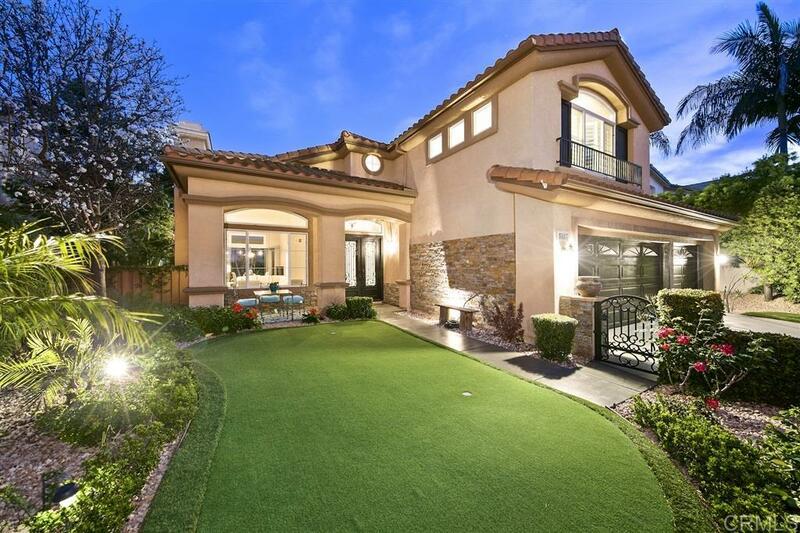 The front yard is gated, a putting green was installed and the home has new exterior lighting. The majority of the interior lighting is new & designer quality. Professionally landscaped yard, coated driveway, front walkway and patio.